We’re counting down to the world’s leading stadium sector meeting in Madrid (31 May-2 June) with a series of previews on some of the 50+ speakers who will be sharing the stage at TheStadiumBusiness Summit 2016. Our latest confirmation comes from Mexico City – and the famed Azteca Stadium. The national stadium of Mexico – an iconic, behemoth of a sports venue in the heart of the sprawling capital city – celebrates 50 Years in 2016. Home to the national football team and also local team Club America – both of whom pay rent – the stadium is a national monument and a much-loved landmark of the city. The venue of some of the biggest, headline concerts in Mexico, the stadium will also host Club America’s 100th anniversary in 2016 (October 12th, which is the anniversary of Colombus setting foot in the New World and “Discovering America”). A few weeks later the NFL will come to Mexico City. But, with respect to its age, the 1966 structure, which was once ahead of its time, is underperforming with its customer facilities. However, a modernisation programme is underway – part of a US$220m, five year investment programme in both the stadium and its surroundings by its owner, the Televisa media group. At TheStadiumBusiness Summit 2016, Felix Aguirre, COO, Estadio Azteca will share the latest project developments and showcase how this sporting icon will secure its next 50 years of memories. He explains that Televisa is building a huge retail mall near the stadium site and there will be a lot of transportation improvements over the coming years. But it is the customer facilities which are the key focus of the latest investments. “The seating bowl will be reconfigured in parts, reducing the capacity by about 13,000 seats” but this will provide space for more hospitality areas, including loge boxes, executive suites and new palcos. 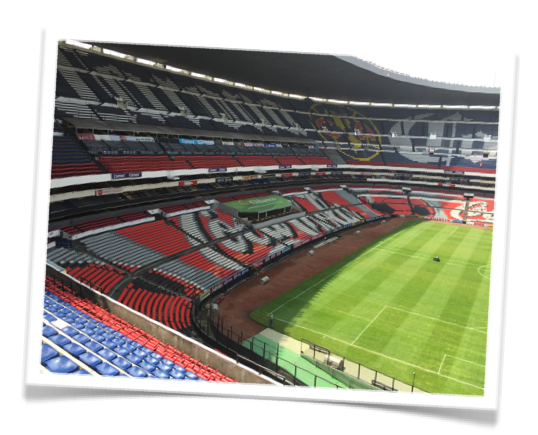 Estadio Azteca’s and Televisa management team is working with global sport architect HKS’ Mexico City office on a US$15m overhaul of the inner bowl, including the addition of roof coverage of key hospitality areas. 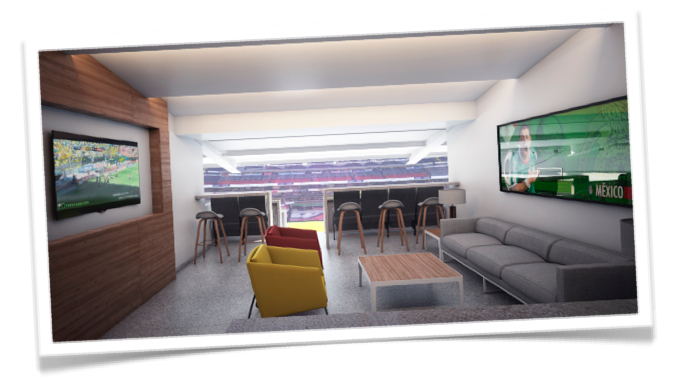 The project includes: 16 Presidential ultra-luxury suites, 80 suites, loge boxes and a covered VIP Club seating area. All these new premium areas will have new lounges and bars. He’s not alone in that challenge – one that will be explored in more detail by Aguirre and stadium leaders from around the world in Madrid, this June. See you there! Editor’s Note: Our 7th annual conference will have a distinctly Latino vibe with attendance not only from Mexico but also from clubs and venues in Brazil, Argentina and Chile – as well as across Spain and Portugal. Join us and 500+ stadium business leaders in Madrid – booking info here.